ArtBlock is an 85,000 square foot mixed-use community-of-the-arts on Harrison Avenue in Boston's South End. The project includes the construction of two new five-story buildings framing the historic Joshua Bates School building on a residential block in the South End neighborhood of Boston. The new construction program includes a mix of 28 market rate townhomes and lofts, 26 affordable artist live/work lofts, a new exhibition gallery, and enclosed parking. ArtBlock was the result of the first disposition of publicly-owned land in Mayor Menino's Artist Space Initiative, an effort designed to preserve the ability of individual artists to remain in the city despite skyrocketing real estate values. 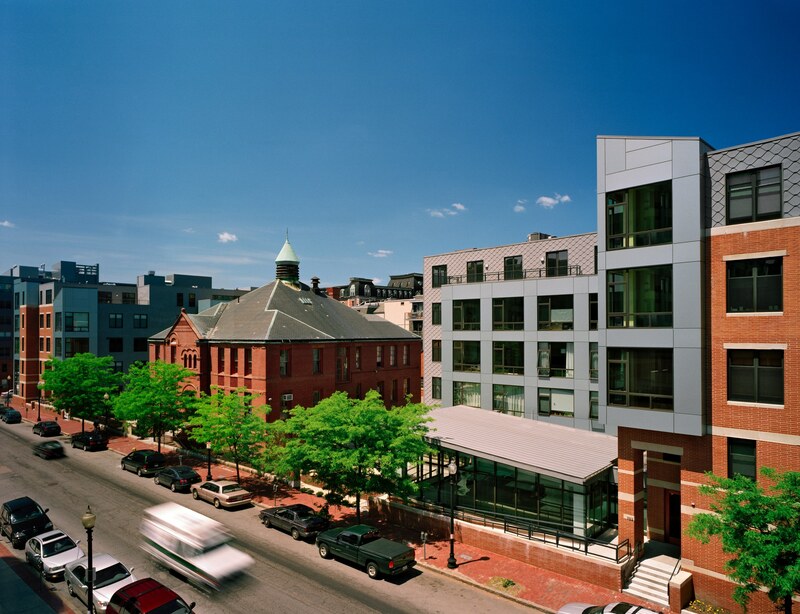 Developed in response to an RFP by the Boston Redevelopment Authority, the project was completed in 2006. The $21 million project was designed by ICON Architecture and constructed by CWC Builders.